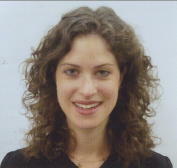 Alexandra Sacks, M.D., is a psychiatry resident at New York Presbyterian Hospital – Weil Cornell. Her academic focus is in Women’s Mental Health, Psycho-oncology, and the History of Psychiatry. Alexandra has co-authored three book chapters, one for the lay-press, and two academic articles in these subspecialties. She currently is the Benjamin Rush Scholar in the History of Psychiatry at Cornell. A 2008 graduate of Mount Sinai School of Medicine via its Humanities and Medicine program, Alexandra is a former Klingenstein Fellow in child and adolescent psychiatry, which remains a strong clinical interest. Before entering the medical field, she worked in journalism for the New York Times as well as the “Charlie Rose Show,” and continues to write creatively, and in medical journalism/narrative medicine endeavors. She graduated Phi Beta Kappa with a bachelor’s in English from Amherst College in 2003.